Exploring Edmonton is a series in which I share adventures and discoveries in my new home in Alberta's capital city. 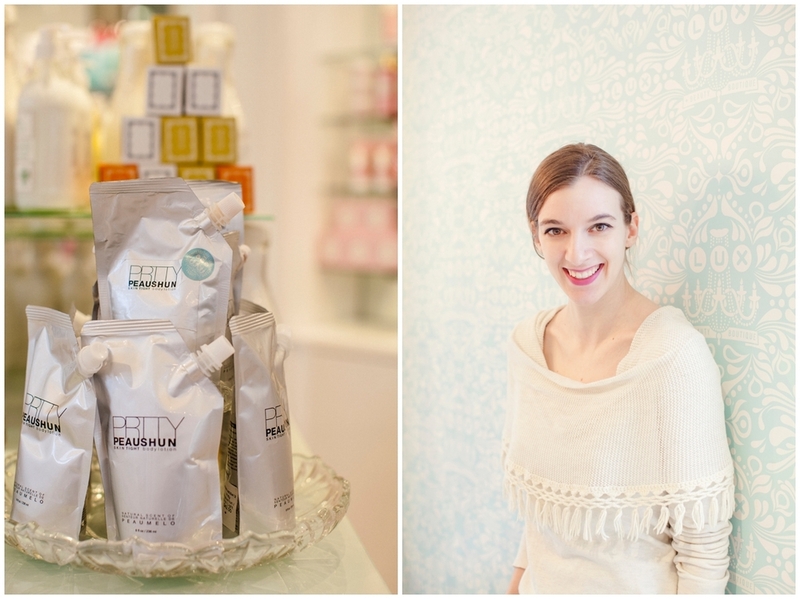 Today I'm sharing a peek inside LUX Beauty Boutique. 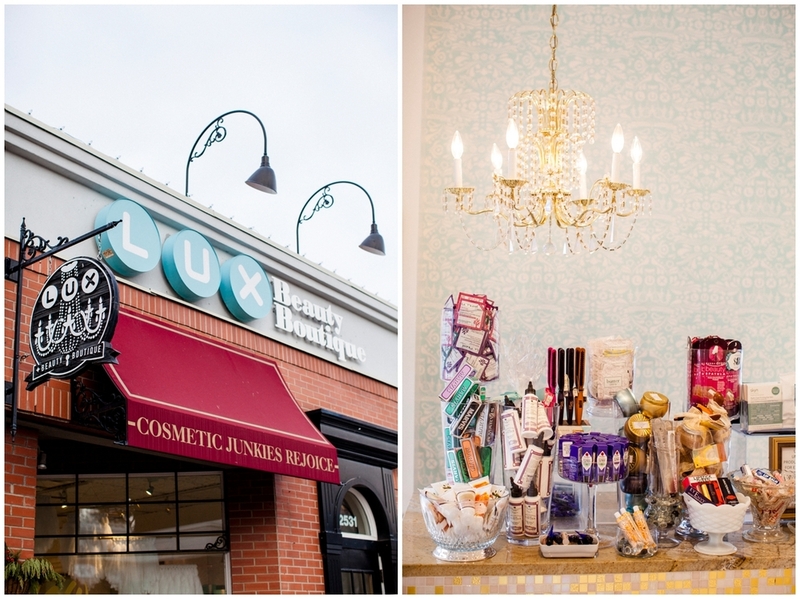 LUX is a haven for beauty addicts, stocking the best in coveted and hard-to-find beauty products, and offering excellent customer service in a gorgeous setting. Searching for top quality cosmetic brands like Kevyn Aucoin? They've got them. Looking for lines with more natural/non-toxic formulations like RMS Beauty, Tata Harper or REN? You can find those as well! 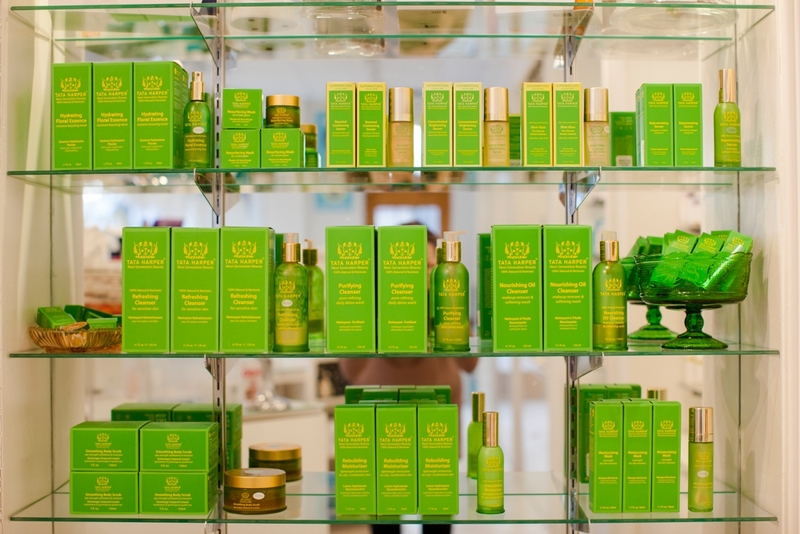 Basically, most cult products that you've read about but can never track down can be found at LUX. 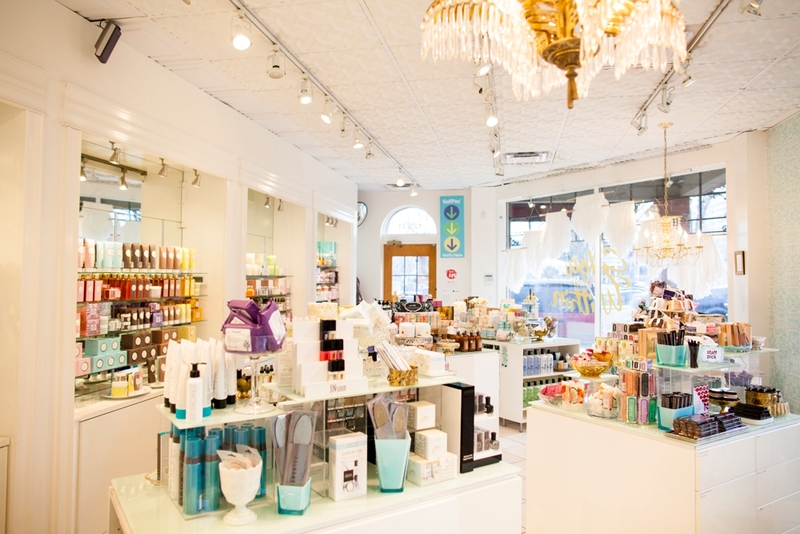 They've curated a remarkable collection of skincare, cosmetics, haircare, fragrance, bath and body products and home essentials, and even just perusing their goods feels like a special treat. 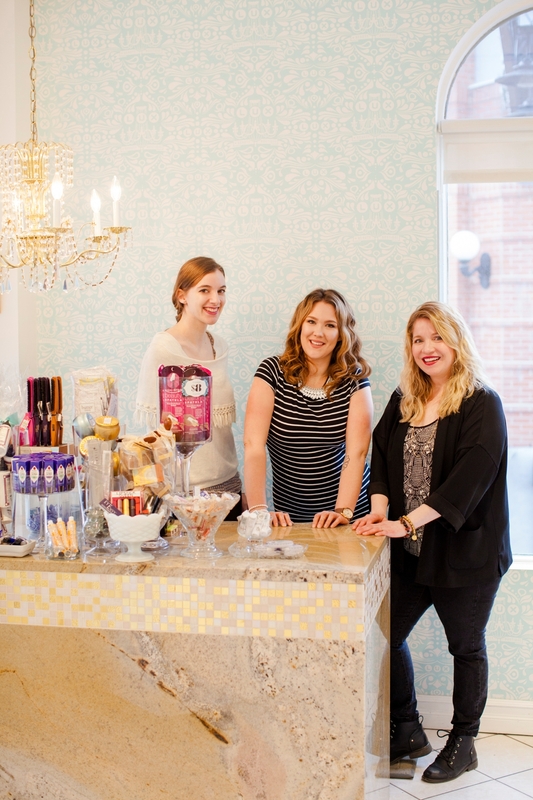 Lux also offers makeup application services and skincare consultations in a bright corner at the back of the shop. These sessions can serve as makeup lessons or as prep for any special occasion. One of their most interesting offerings is the 4 Seasons of LUX boxes, which allow customers to fill out a questionnaire about their beauty preferences and subscribe to have highly customized packages shipped to their homes each season. I visited LUX recently and was warmly received by boutique leader Danielle, along with her colleagues Katryna and Melenie. They showed me around the shop and told me about their new collections, best sellers, and store philosophy. It was a beauty lover's dream and I can't wait to go back and stock up. 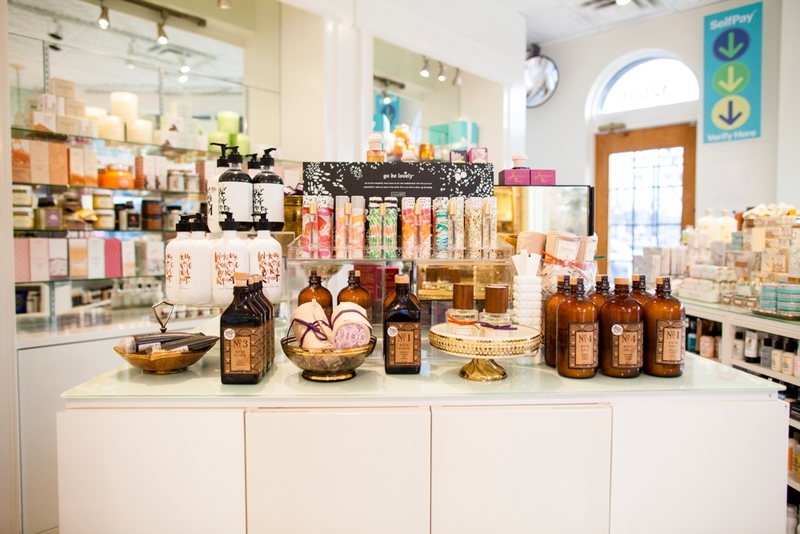 Take a look around this treasure trove of beauty products.